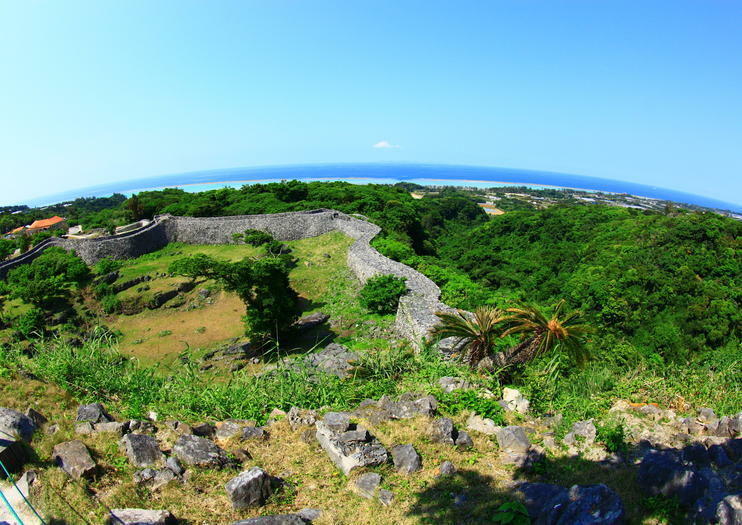 Built in the 13th century, the remains of Nakijin Castle are one of Okinawa’s most popular tourist destinations. A mecca of culture, politics, art and architecture, the ruins attract travelers, adventurers and history buffs from across the globe. Travelers enter through the restored gates and emerge into the gusuku, which pours into the Ushimi Riding Field. During ancient times, war horses trained on this expansive green before heading off to battle. The Umiya Court, near the Main Hall, North Hall and South Hall, was once used for ceremonial celebrations and royal gatherings. Travelers can stare out over ocean views from Uchibaru (the holiest place on the castle grounds), while would-be anthropologists venture through the Nakijin Hamlet and Shijimajokaku Ward, where archeological excavations have uncovered artifacts that point to a rich and diverse cultural past. The castle is located in Nakijin Village. It is accessible via bus by taking the 111 to the 66 bus. It is a 15-minute walk to the Nakijin Joseki entrance.